Each day that is delayed in opening a new facility represents lost revenue and increased project costs. 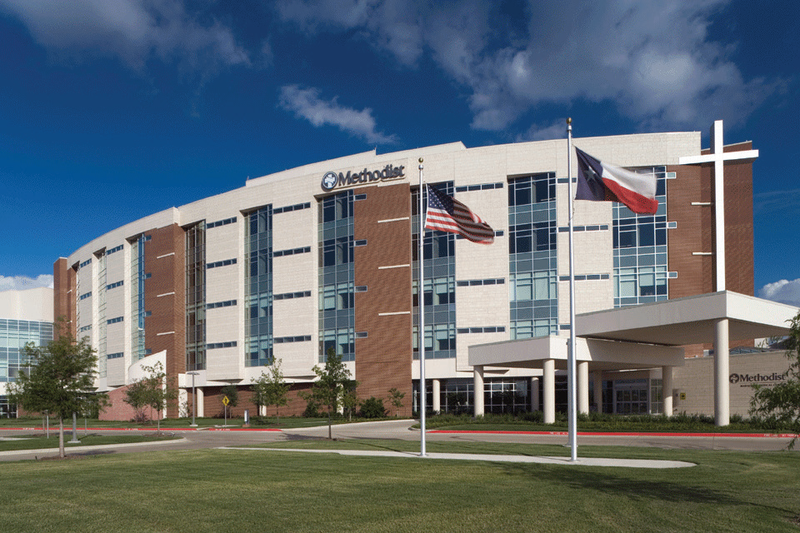 Methodist Health System of North Texas recently added a second patient tower with an eventual capacity of 118 beds as part of a $118 million expansion. The Beck Group completed the Mansfield, Texas hospital expansion project in December 2015. Tyler Chapman, Beck’s project manager, said, “This project was a four-floor expansion on top of the existing hospital structure. We always struggle with moisture in the floors and carry an allowance for moisture mitigation as a contingency. In this case, we were under a tight schedule and needed a solution to accelerate the construction.” Greg Weller with DD&F Commercial Flooring suggested Spray-Lock Concrete Protection (SCP) to improve curing and eliminate moisture issues. SCP 327 was spray-applied at time of placement on the 110,000 square foot project. “Getting readings and having to wait until a slab is dry enough for floor application is unpredictable. This unknown parameter can set a project back weeks, when time is money. With Spray-Lock Concrete Protection, we were not delayed and we did not have to take multiple RH and chloride readings. SCP also eliminated the need for placing and removing curing blankets. Spray-Lock probably saved us three weeks per floor for a total of 12 weeks on the entire project. Plus, during construction and since completion, we have not had any moisture issues and do not anticipate having to go back and replace floors,” said Chapman. Months after the concrete was treated, the concrete finish shows significantly less shrinkage and spider cracking compared to 28-day water cures. The four floors are in excellent, time-proven condition having incurred none of the industry’s typical flooring complications.